Today, I am going to share 3 delicious homemade recipes that are perfect for those who are living a gluten-free lifestyle: Chickpeas Hummus, Beet Hummus and a Gluten-Free Pizza with Prosciutto and Pesto. There are so many reasons why people choose a gluten-free diet. While eating a gluten-free diet is recommended for people who have celiac disease or gluten sensitivity to control their symptoms and prevent complications. A gluten-free diet is also perfect for people suffering from a wheat allergy, or for those simply changing their eating habits for a healthier lifestyle or to lose weight. A gluten-free diet excludes the gluten that is found in grains such as wheat, barley, rye, malt, yeast, bulgur and couscous. Switching to a gluten-free diet can be challenging at first. When my husband decided to follow a gluten-free diet he was a bit worried that he wouldn’t be able to eat some of his favorite foods like breads and pizzas. 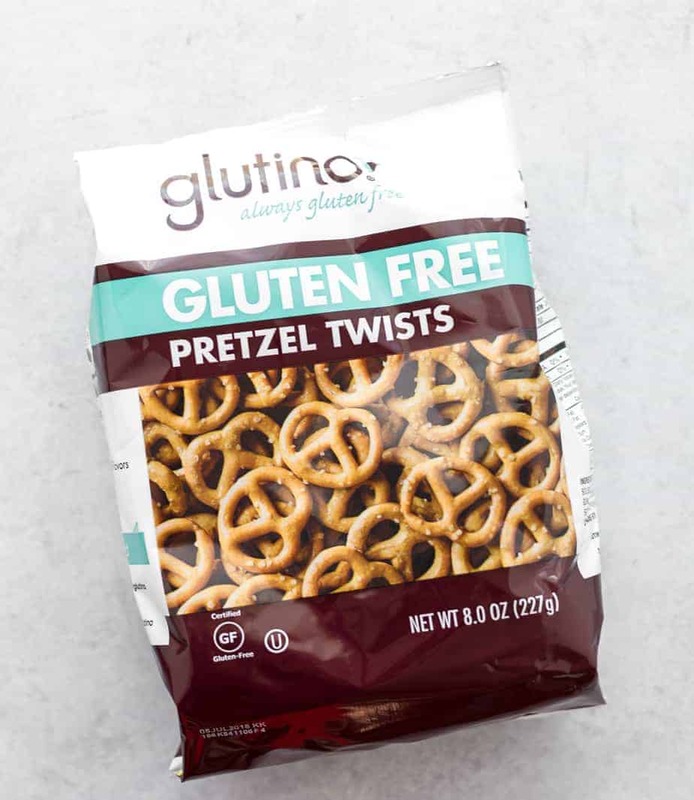 Luckily, being gluten-free doesn’t mean flavor-free, and there are plenty of satisfying, yummy and nutritious gluten-free snacks available in the market today. 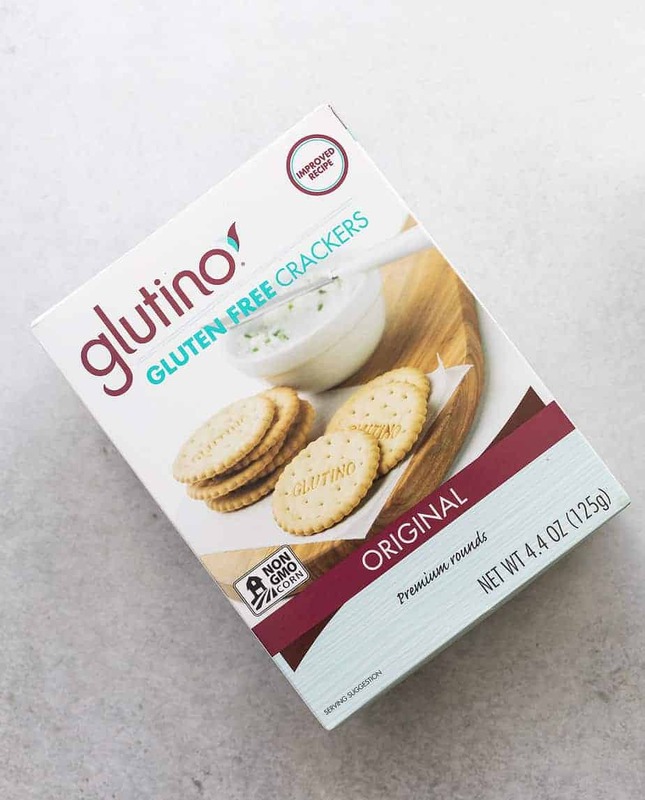 Glutino and Udi’s offer a wide selection of great tasting gluten-free products that are also enjoyable for someone without gluten intolerance. These make the perfect food choices for my family, both as a daily meal option and during travelling. 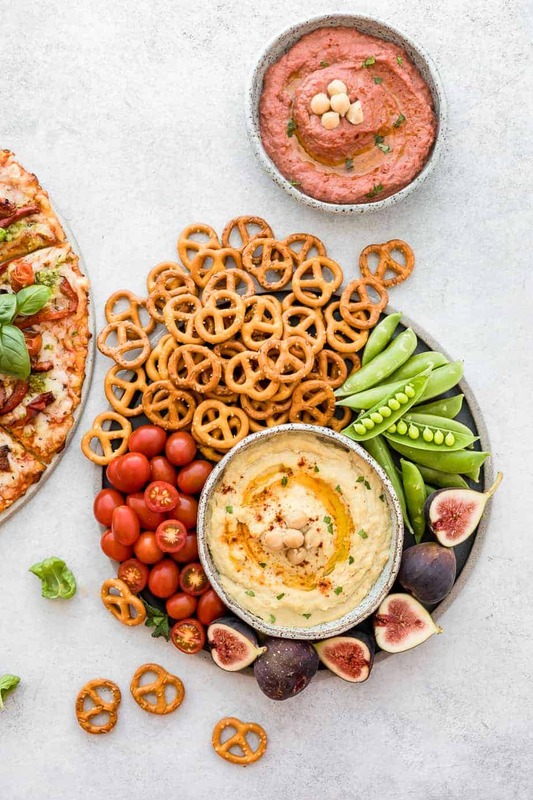 Glutino Pretzel Twists and Crackers are my family’s favorite snacks and the perfect option for us when we host a house party. It’s nice to put something out that everyone will enjoy, and that’s also suitable for those with a gluten intolerance. One of my favorite ways to serve Glutino Pretzel Twists and Crackers is with hummus. I love making my own homemade hummus so I can make sure all of the ingredients are gluten-free. These two hummus recipes are so easy to make and actually quite wholesome with chickpeas, tahini (a paste made from ground sesame seeds), fresh lemon juice, salt and garlic. 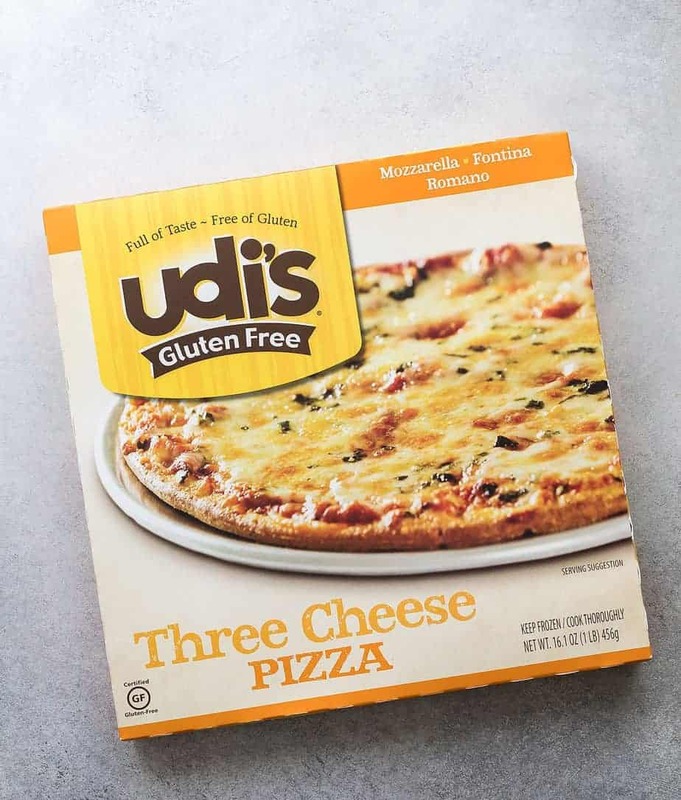 Udi’s three Cheese Pizza also makes a great addition to my family snack-time. 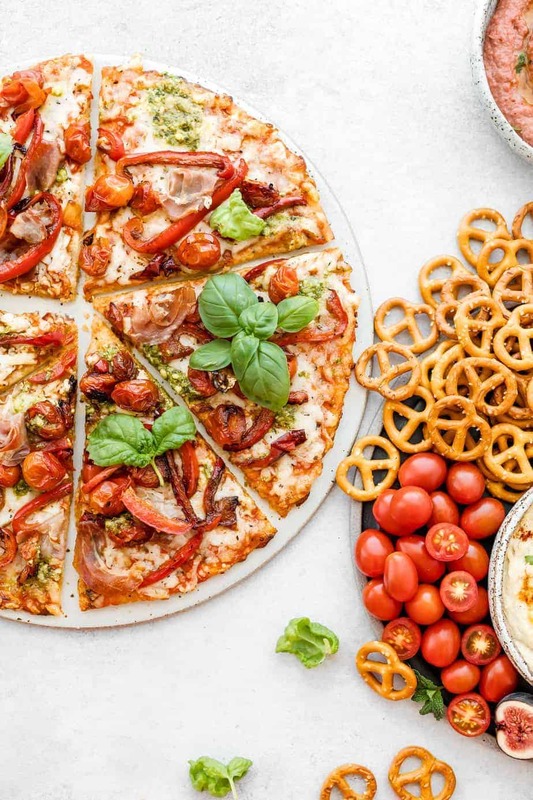 I can serve this gluten-free pizza as-is, or with a twist by adding some of gluten-free ingredients as toppings, like fresh vegetables, pesto and prosciutto. You can find Udi’s and Glutino products at Safeway/Vons stores. Be sure to visit this digital coupon page to save $1 off 1 Glutino product and/or $1 off 1 Udi’s product. Here’s some additional notes on my husband’s gluten-free journey, as some of you may be able to relate to it. My husband put on significant weight over the past two years. In some ways it wasn’t a total surprise as he’s at an age where a man’s metabolism goes through changes. He also has a desk job rather than one where he’s on the move and getting daily steps in. I was still a bit surprised at his thirty pound jump in weight with the healthy meals I’ve been prepping for him a couple of times a day. I cornered him and asked him about his diet away from home. He said that he’s not eating candy and chocolates like some of his co-workers, and instead sticks to his healthier options including coffee drinks, chips, popcorn, crackers and other things that you’d find on “worst carbs” lists! Yep, it all makes sense now… he may be eating healthy meals but ingesting all of that will negate the efforts of any good diet. These products are the perfect solution for my husband who can eat gluten but should really opt for alternative options. While I oftentimes think gluten-free food tastes better than the food with gluten, he’s a bit tougher and more grounded in traditional foods and tastes, so the fact that he really enjoyed these options was very telling. I have friends with allergies who cannot consume any gluten and have mentioned to me some of their favorite brands and specific products. 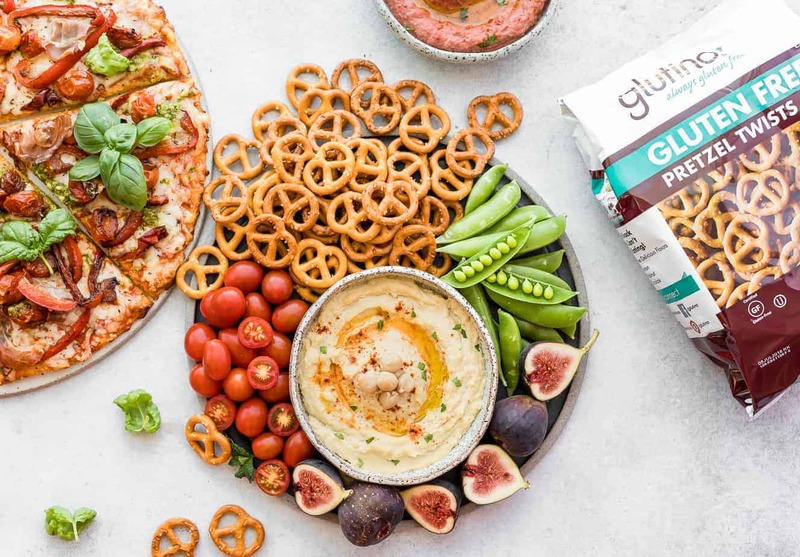 It’s great that Glutino and Udi’s are out there giving options to this very large community, and the fact that their food tastes amazing shows that they aren’t just checking a box, but rather taking pride in putting out great tasting products that can be enjoyed by anyone. Preheat the oven to 425F degree. Heat a medium skillet over medium heat. Add the olive oil, bell peppers, tomatoes and cook for about 1 minute. Add garlic, Italian seasoning and balsamic vinegar and keep stirring until the peppers is soften. Remove from the heat. 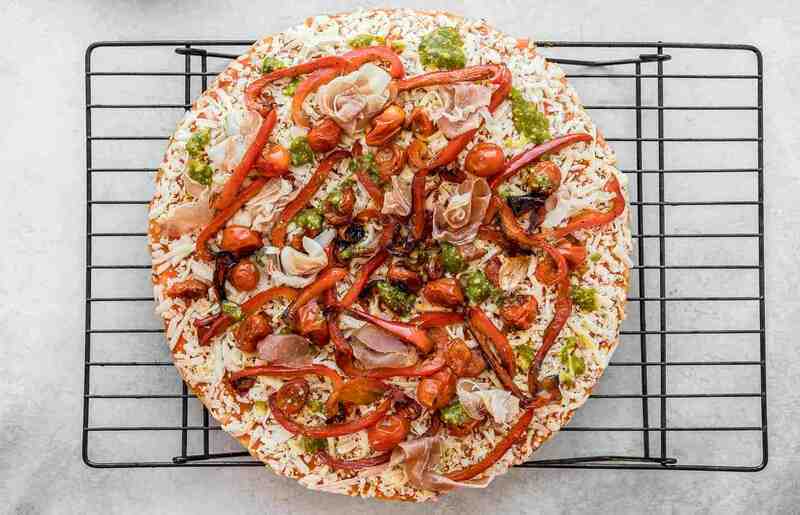 Assemble the pizza, by adding some of prosciutto slices, pesto, cooked vegetables on top of the Udi’s Three Cheese Pizza. Cook the pizza according to the product packaging. Serve and enjoy! In a food processor or high speed blender, add minced garlic, lemon juice, tahini, cumin and olive oil. Blend for about 10-15 seconds. Add chickpeas, salt, black pepper, 3 tablespoons liquid reserved. Blend until the form is a smooth puree. Taste and season with extra salt or lemon juice if needed according to your liking. Enjoy with Glutino crackers or pretzels. 8 oz roasted beet homemade or store bought, remove juice, pat dry. Add beets, chickpeas, salt, black pepper, 2-3 tablespoons liquid reserved. Blend until smooth puree. I love all these GF options! A great alternative for healthy meals that still taste delish! It’s wonderful that we have so many gluten-free options out there! Your pictures are making me hungry. Love homemade hummus and the addition of fresh veggies, pesto and prosciutto to the cheese pizza.